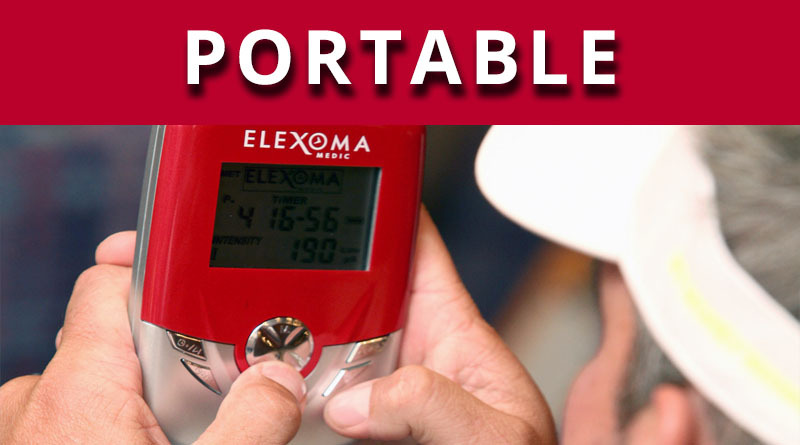 The Elexoma Medic is lightweight and fits into a pouch that clips on to your belt. It weighs just a little over 10 ounces (290 grams), and at 5.6″ x 3.74″ x 1.08″ (143mm x 95mm x 27.5mm) easily fits into a purse or bag. You can treat yourself at the home or at the office, wherever is comfortable for you.